Need an On-Hook insurance quote? Don’t get just 1 quote, get 3! To save money on your towing insurance, you need to shop around. We make that easy by bringing 3 agents to you to compete for your policy. Just fill out our simple online form. In this next installment of our Commercial Tow Truck Owner’s Insurance 101 Guide, we’ll get you acquainted with this critical coverage so your tow truck operation isn’t left on the hook for unnecessary claims. If you’re in the business of providing towing, service station services, or trucking for hire, it’s important to supplement your general liability and garagekeepers insurance with on-hook insurance. What does on-hook coverage cover? The term “on-hook” refers to any vehicles or property you do not own, but are temporarily responsible for towing, during the day-to-day operations of your business. The specifics of on-hook insurance policies can vary from insurance provider to insurance provider, so if you routinely tow cargo other than automobiles, it’s very important to make sure that cargo is covered under your policy. 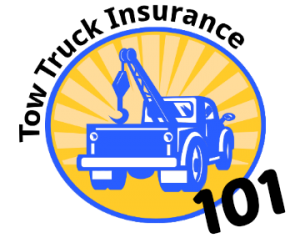 When choosing your on-hook insurance policy, you must be aware of the fact that your state and/or city laws may mandate a minimum amount of coverage for your tow truck insurance, garagekeeper’s insurance, and/or on-hook insurance policies. Be sure to check with your agent as to the specific limits you will need to carry in your state and/or city to avoid costly fines for violations. The individual limits for your on-hook coverage will vary according to the body type of your towing vehicles, so you can expect coverage limits to be much smaller for single axle tow trucks than they would be for rollback wreckers. For example, if you tow salvage, a limit of $50,000 may be sufficient depending on your individual situation. However, if you tow luxury vehicles, or antique race cars, you’ll naturally want a limit that is substantially higher. Be sure and discuss with your agent every aspect of your operation so nothing is missed. With on-hook towing insurance, you must select both a limit and a deductible. The limit is the maximum total amount paid per occurrence for damage to all vehicles, and the deductible is the amount before your insurance kicks-in and pays. Establish an average value for type of vehicle you are most likely to tow, using the Kelley Blue Book, or a similarly respectable book or website. Multiply that number by the number of vehicles you can tow with one vehicle at one time. Select a policy limit that is equal to, or more than your final tally. Your agent can also help you to establish the right limits for your towing operation. In combination with other critical insurance coverages, on-hook is an important way to safeguard your business. What does On Hook Coverage Cost? Tow truck insurance can vary wildly between insurance companies. 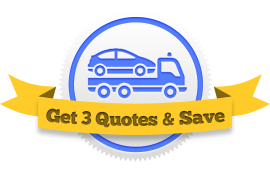 The trick is to find the insurance company that is most competitive with your specific towing operation. At Tow Truck Insurance HQ we’ll help you get the best deal by bringing you 3 agents to compete for your business.